Click on the picture for more information about each team member. Mrs. Basulto’s primary focus is on all aspects of litigation that community associations face. She helps Associations design practical strategies and implement “best practices” principles into their operations. 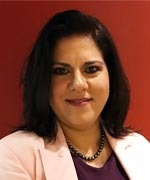 Mrs. Basulto earned her Bachelor of Arts degree from University of Miami in 1993 and earned her Juris Doctor degree from Nova Southeastern University in 2000. She is a member of the Florida Bar Association (2001), the U.S. District Court, Southern District of Florida (2003), the Miami-Dade County Bar Association, the Miami Lakes Bar Association, and is a Florida Supreme Court certified Circuit Civil Mediator as well as a qualified Arbitrator. Mrs. Basulto previously worked as a State Attorney in Miami-Dade County, Florida. Prior to becoming an attorney Mrs. Basulto spent several years working in politics and government including working for Florida’s U.S. Senator Bob Graham and later as a Schedule C appointment in President Clinton’s administration. Mr. Robbins primary focus is in the area of community association law and serving as general counsel on all Association matters including corporate governance, collections, enforcement of rules and bylaws, legislative updates, modification of association documents, contracts, and developer turnover issues. 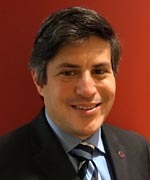 Mr. Robbins earned his Bachelor of Arts degree from Florida Atlantic University in 1998 and earned his Juris Doctor degree from Nova Southeastern University in 2000. He is a member of the Florida Bar Association (2001), the D.C. Bar Association (2005), the New York Bar (2006), the Massachusetts Bar Association (2006), the Illinois Bar (2016), the U.S. District Court, Northern District of Florida (2005), the U.S. District Court, Middle District of Florida (2005), the U.S. District Court, Southern District of Florida (2003), the U.S. Court of Appeals Eleventh Circuit (2006), the Broward County Bar Association, the American Bar Association, the Real Estate Law section of the Broward County Bar Association, the Real Property, Probate and Trust Law section of the Florida Bar Association, the Real Property, Probate and Trust Law section of the American Bar Association, the Real Estate, Housing and Land Use section of the District of Columbia Bar Association, the Real Property Law section of the New York State Bar Association, the Florida Land Title Association, the American Land Title Association, a member agent for Attorneys' Title Insurance Fund, Inc., and a member of the Southeast Florida chapter of Community Association Institute. Mr. Robbins, holds the distinction of being Board Certified by the Florida Bar in the field of Real Estate Law (2007), a title held by less than 500 attorneys state-wide, and brings with him an extensive wealth of knowledge and experience in the field of real estate law. 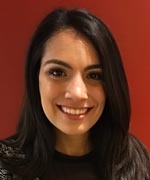 Christyne D. Santisteban graduated from the University of Central Florida in 2008 with a Bachelor of Science degree in Legal Studies and a Minor in Criminal Justice. Mrs. Santisteban obtained her Juris Doctorate, from Saint Thomas University in 2011. While attending law school, Mrs. Santisteban was a three time Dean’s List recipient and received a Cali -Book Award, which is given to the student who received the highest grade in the course. Mrs. Santisteban served as a member of the Cuban American Student Bar Association and interned with the City of Miami City Attorney’s Office. Mrs. Santisteban joined the firm in 2011 and is a member of the Firm’s Community Association Litigation department where she concentrates on all aspects of litigation involving homeowner associations and community associations. 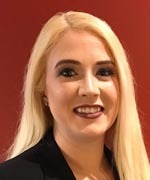 She handles civil litigation matters related to community associations, including breach of governing documents, breach of contract disputes, declaratory actions, injunctive actions and defending suits brought by residents. She enjoys meeting with her Association’s and their Board Members throughout South Florida, helping them with their legal matters and ensuring they efficiently run their associations. Mrs. Santisteban is a member of the Cuban America Bar Association and enjoys being part of the Florida Bar Young Mentor program. She is additionally admitted to practice in the United States District Court for the Southern District of Florida. When Mrs. Santisteban isn't working with her Clients, she enjoys spending time and traveling with her family. Ms. Briley is a graduate of St. Thomas University School of Law where she was a recipient of the Cali-Book Award. The CALI Excellence for the Future Award® is given to the highest scoring student in each law school class at many law schools! Ms. Briley joined the firm in June of 2016 and specializes in Community Association Law as well as Corporate Governance. Ms. Briley also has experience in Landlord/Tenant business as well as Commercial and Residential Contractual Compliance. Ms. Briley is an animal lover and is passionately involved with the Humane Society. She also enjoys traveling, family time and the Miami Heat. Please note that our firm represents Associations and does not provide legal advice to the home owner regarding their specific matter. If you are a Board Member or a Property Manager, and wish to contact one of our attorneys, simply fill out the form on this page. Basulto Robbins & Associates, LLP maintains its web site for informational purposes only. The information contained on this web site is not legal advice and is not intended to create, and receipt does not constitute, an attorney-client relationship. Readers should consult with a lawyer before acting in reliance on any such information. Basulto Robbins & Associates, LLP does not warrant the accuracy or completeness of the information, text, graphics, links, or other items contained on its site. Basulto Robbins & Associates, LLP assumes no responsibility for and expressly disclaims all liability for errors or omissions in, and use or interpretation by others of, any information contained on Basulto Robbins & Associates, LLP’s site or any other site from which any person may have accessed this site. The pictures on Basulto Robbins & Associates, LLP’s website are not employees or members of the firm.